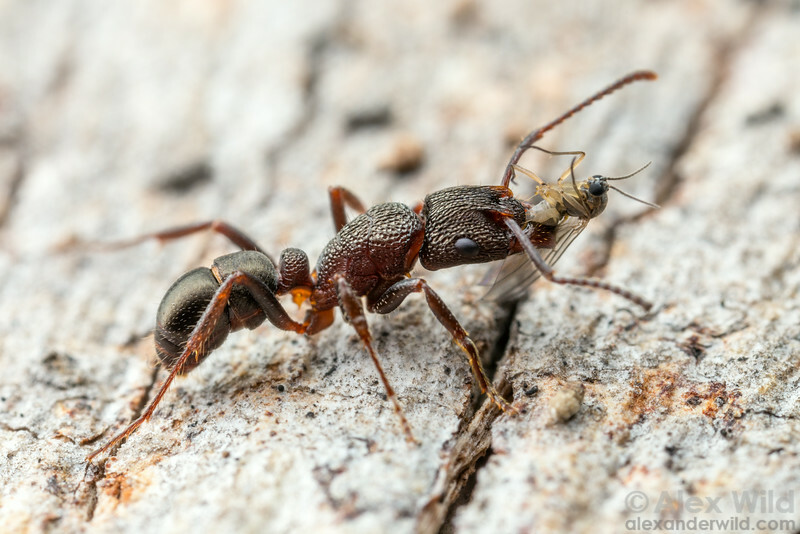 On a cold winter day, a Rhytidoponera forager slowly carries a fungus gnat she has caught back to her nest. Flying insects are easier prey for ants when immobilized at low temperatures. Yandoit, Victoria, Australia.